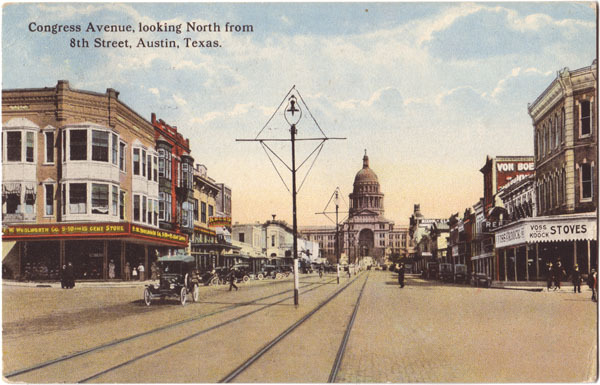 AustinPostcard - Congress Avenue, looking North from 8th Street, Austin, Texas. Congress Avenue, looking North from 8th Street, Austin, Texas. Postmark: AUSTIN SEP 26–16 10––PM TEX.